Reports of Pepe's death have been greatly exaggerated, says the famous frog's creator. 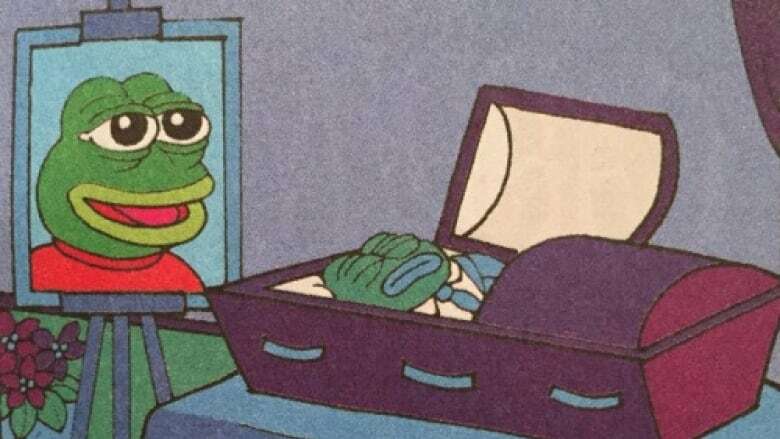 In a comic released for Free Comic Book Day on Saturday, artist Matt Furie depicts Pepe the frog laid out in a casket, in what was largely seen as a rebuke to the far-right extremists who transformed the loveable slacker frog into a symbol of racism and hate. But Furie told As It Happens host Carol Off that the despite the headlines declaring Pepe's demise, fans haven't seen the last of him. "The end is a chance for a new beginning," Furie said. "I got some plans for Pepe that I can't really discuss, but he's going to rise from the ashes like a phoenix ... in a puff of marijuana smoke." Pepe made his debut in 2005 in Furie's indie comic Boy's Club, which follows the misadventures of four pizza-loving, video game-playing roommates. 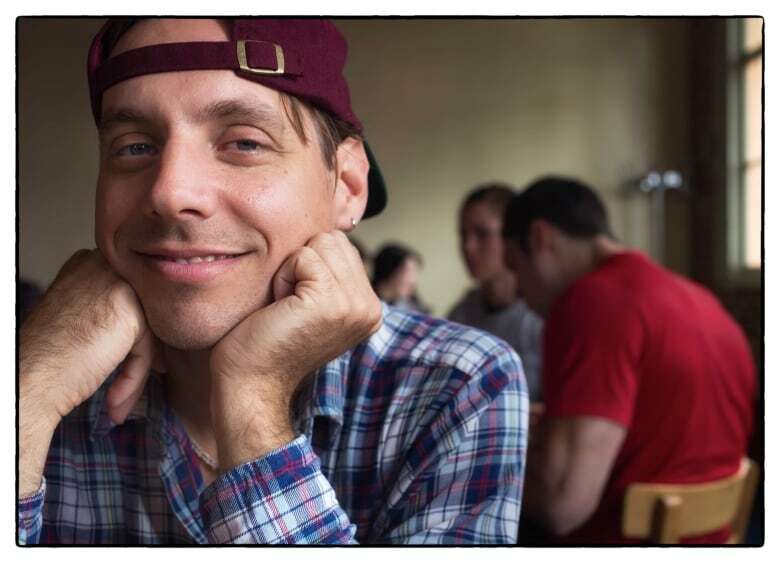 The character's emotive facial expressions made him a go-to reaction image online, first on select forums like 4Chan, and later on mainstream platforms like Tumblr and Instagram. 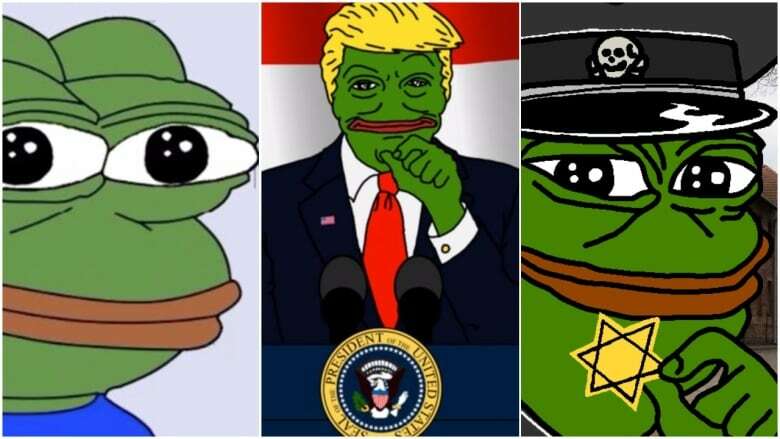 But more recently, Pepe took a sinister turn, becoming a favourite among far-right provocateurs, who sometimes depict him as a Nazi or a Klansmen, prompting the New York-based Anti-Defamation League to list him as a hate symbol last year. The character made headlines again in January, when a viral video showed white supremacist leader Richard Spencer getting punched in the face mid-sentence while explaining the origins of his Pepe lapel pin. Pepe's growing popularity among trolls and bigots has had its toll on Furie, who sees the frog as a symbol of love and peace. "I think to truly understand Pepe as a cultural phenomenon, you have to understand him outside of myself as an artist. Pepe's popularity has grown on the internet because of everybody's kind of collaborative remixing and reinterpreting and resharing him on the internet," Furie said. "So, I as the creator of Pepe, you know, was just doing a little bit of art therapy for myself in laying him to rest." Still, Furie holds tight to the belief that Pepe's image can be rehabilitated. "If you're listening to this and you're interested in the story — and especially if you have some kind of political sway or anything like that — like, step in and, you now, just tell your friends, neighbours, teachers, whoever else that Pepe is a chill, loving frog," he said. "Every moment is an opportunity to change people's opinion, so I'm not gonna give up yet, but I'm gonna take a break, because it is some heavy stuff."